Discover the Power of Whiling- Alchemy Spinning, Introductory Workshop at Inner Path. 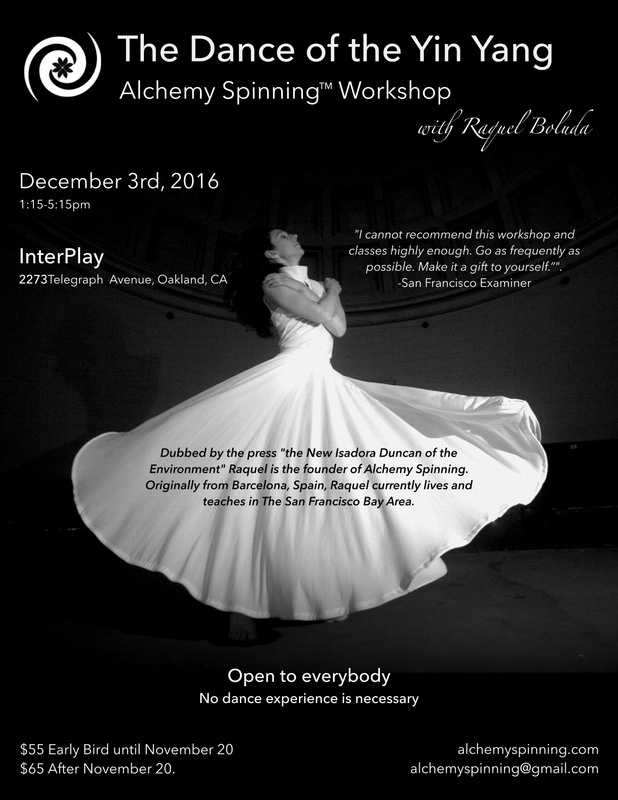 A Sufi-inspired Alchemy Spinning Introductory Workshop with Raquel Santiago to discover the power of whirling and expand our consciousness. Alchemy Spinning™ is a powerful and yet accessible whirling practice at the intersection of mindfulness and movement. 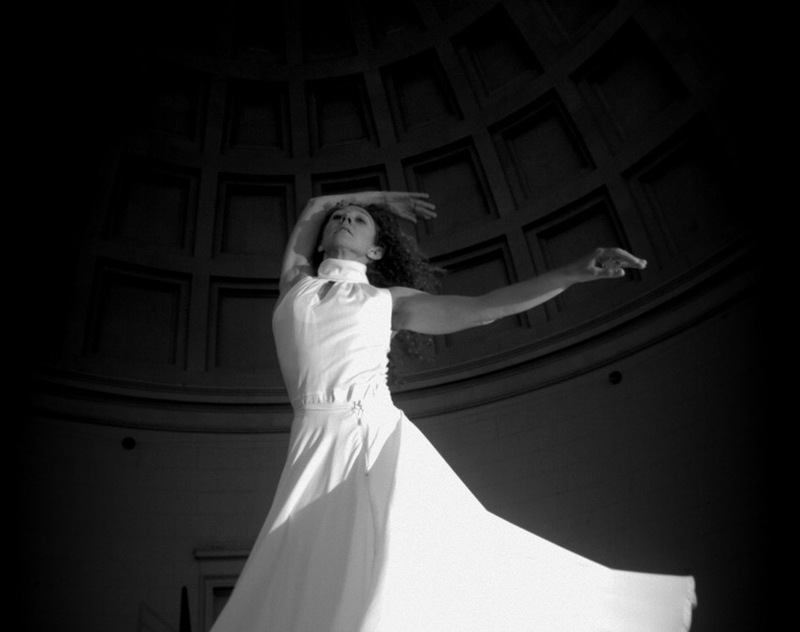 Inspired on Sufi Dervishes and other whirling dances of the world, Alchemy spinning makes the physical, psychological and spiritual benefits of whirling available to everybody. Alchemy Spinning™ combines dance, movement, yoga, breath work, and meditation. We will work on several exercises that combine dance, yoga, breathing and meditation in order to connect deeply with our own bodies, balance the flow of energy in our chakras along our spines, and root ourselves firmly in the Earth, while charging up our energy and opening our hearts. This is the key to avoid and manage dizziness. We will learn basic whirling techniques and we will create and hold a safe space for the participants to spin at will, but each person is encouraged to spin according to their own needs and feelings, entering and exiting the spinning space as they feel compelled to. Open to everybody. No previous dance experience is necessary. Cost: Sliding Scale $25-40. Early bird $20-35 until November 19. Alchemy Spinning ™ is a powerful and yet accessible whirling practice at the intersection of mindfulness and movement. 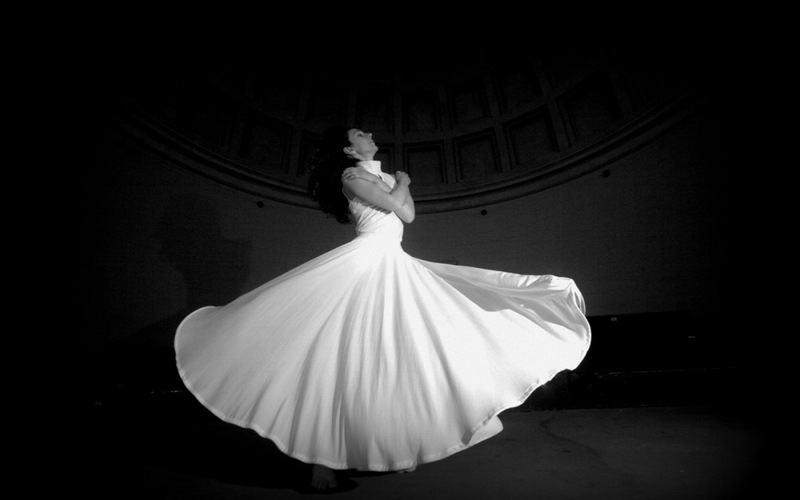 Inspired on Sufi Dervishes and other whirling dances of the world, Alchemy Spinning™ makes the physical, psychological and spiritual benefits of whirling accessible to everybody. 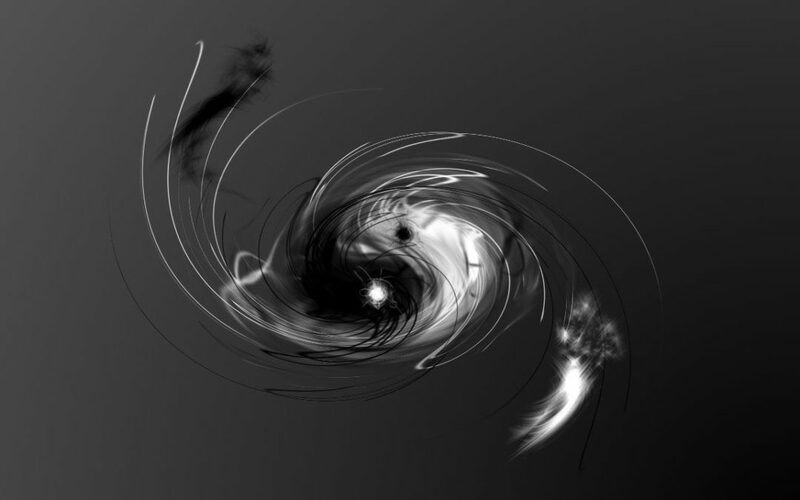 The Dance of the Yin Yang is an invitation to explore the whirling dance using the Alchemy Spinning platform through the two basic principles of our universe and of our existence, the feminine and the masculine. Our exploration of feminine movement will follow the water element, which makes up 70% of our bodies. We wiil release all tensions to explore water’s ability to flow and be shapeless. Our exploration of masculine movement will follow the Earth element, and its ability to contain and give shape to the shapeless. During the workshop we will work on several exercises that combine dance, yoga, breathing and meditation in order to connect deeply with our own bodies, balance the flow of energy in our chakras along our spines, and root ourselves firmly in the Earth, while charging up our energy and opening our hearts. This is the key to avoid and manage dizziness. After learning the basic whirling techniques, we will create and hold a safe space for the participants to whirl at will, but each person is encouraged to spin according to their own needs and feelings, entering and exiting the spinning space as they feel compelled to. We will end up the workshop with an integration in order to connect deeply with our experience, ideas, insights, healing and creativity through art. Click here to see Raquel Boluda’s bio. Venue: Tot Tansa, Passeis de l’Estatut, 8, Santa Maria de Palautordera, Barcelona, Spain. Venue: Narayana C/Industria 4 baixos, Igualada Barcelona. Cost: 44€ Early Bird until December 3rd. 50€ after December 3rd. Venue: Alnöuart, Carrer Berga 36, Barcelona, Spain. Cost: 50€ Early Bird until December 3rd. 60€ after December 3rd. For registration please send me a message. Date: December 3, 2016 1:15-5:15pm. Venue: InterPlay, 2273 Telegraph, Oakland, CA,USA. Cost: $55 Early Bird until November 20. $65 after November 20. 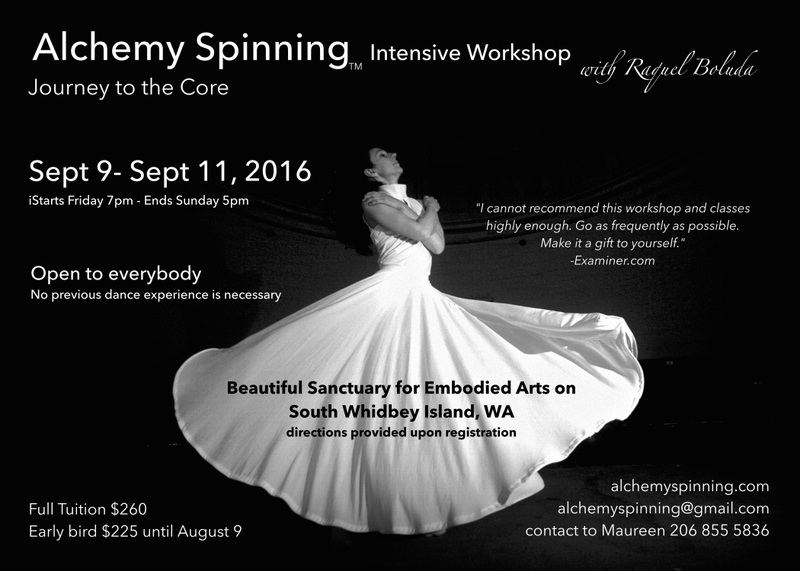 Journey to the Core, Alchemy Spinning Intensive Workshop on September 2016 at Butopia, beautiful Sanctuary for Embodied Arts on South Whidbey Island, WA. This Journey to the Core Alchemy Spinning™ workshop will take us on a spiral journey towards the core of our being, where we can discover and unleash our own power to heal ourselves, our relationships, and the world. 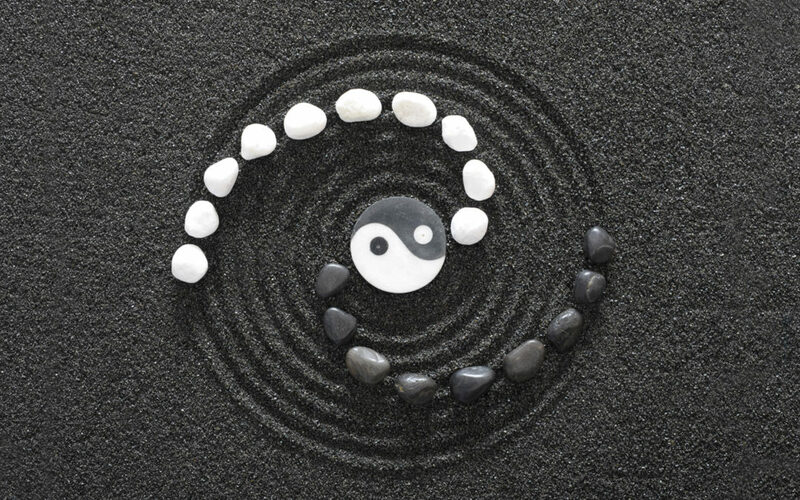 In our core we will connect with Fundamental Goodness, self-confidence, empathy and compassion, and we will explore how to take and project these core treasures back in an outward spiral towards an illuminated society for the benefit of all beings. We will take a deep dive into the Alchemy Spinning™ practice, using a combination of dance (from different dance modalities,) movement, breathwork, and contemplative art making techniques, as well as teachings and inner technologies adapted from the Sufi dervishes and Shambhala Buddhism. We will learn how to connect with our vertical axis, which connects Heaven and Earth through our bodies along our spine; and with our horizontal axis –which crosses our heart and projects along our arms in order to allow our core being to manifest in this world. Together we will practice how to root ourselves in the Earth, how to make energy flow along our spine, and how to balance our brain hemispheres. Using rhythm and repetition, contraction and expansion, we will delve into the fundamentals of spiral movement, while connecting these inner spirals within with the larger spiral movements of our planet, our solar system, our galaxy, and beyond. At different times we will create open spaces for group whirling, as well as open spaces for integration and sharing. This workshop is open to everyone. No previous dance or whirling experience is required. Venue: Butopia, Whidbey Island, WA. Cost: Full Tuition $260. Early bird $225 until August 9. Raquel Boluda is the founder of Alchemy Spinning™. She is an internacional dancer, dance activist, yogi, and transpersonal somatic therapist, originally from Barcelona, Spain, now she is living in The San Francisco Bay Area, CA. Raquel is trained in a wide variety of dance styles such as Contemporary, Butoh, Body Weather, Middle Eastern, and African –among many other types of dance and body work. She is also a yoga instructor, and a meditation teacher, and she have received training in chakra work, Shambhala Buddhism and Transpersonal Psychology. In addition to Alchemy Spinning™, she founded Crisalis™, an art-based somatic therapy to treat eating disorders, sexual abuse, and trauma. Raquel has been dubbed by the press as “the New Isadora Duncan of the Environment”, because her projects often have a message of consciousness and transformation. She has worked with UNESCO and other nonprofit organizations, and performed at environmental conferences and transformational gatherings, such as San Francisco Green Festival and the Boom Festival in Portugal, for Midway Film, at TEDxCibeles Events, among others events. 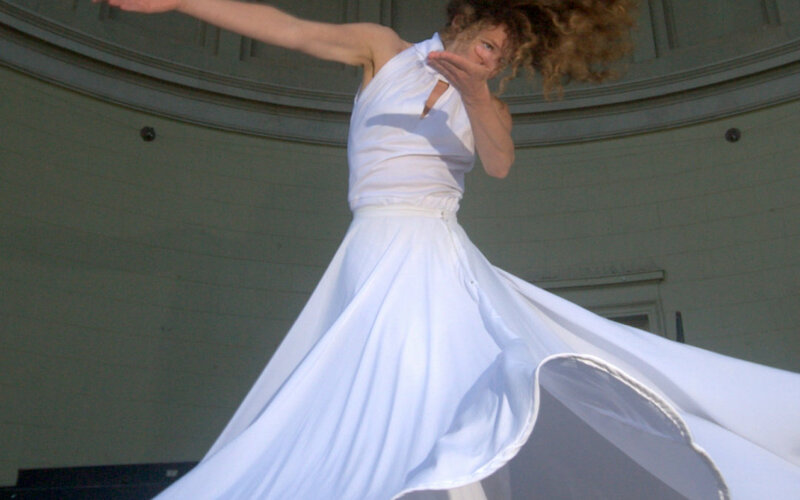 April 9 at Devi Yoga Center, Sebastopol: a Sufi-inspired Alchemy Spinning Introductory Workshop with Raquel Boluda to discover the power of whirling and expand our consciousness. Cost: $40 Early Bird until March 26. $45 after March 26. Additional $5 off for Devi Yoga students until 3/26. Raquel Boluda is an international dancer, dance activist, yogi, and transpersonal somatic therapist, originally from Barcelona, Spain, She lives in the San Francisco Bay Area. She is trained in contemporary dance, butoh, Middle Eastern, African, yoga and meditation. In addition to Alchemy Spinning™, she founded Crisalis™, a somatic therapy to treat eating disorders, sexual abuse, and trauma. Dubbed “the new Isadora Duncan of the Environment,” Raquel has danced for UNESCO, Shambhala, TEDx, and other venues and organizations. February 27 at Studio 8 in Berkeley, CA: Whirl your Breath!Alchemy Spinning Workshop with Raquel Boluda. Alchemy Spinning™ is a powerful and yet accessible whirling practice at the intersection of mindfulness and movement, that induces a state of expanded consciousness. Inspired on the whirling dances of the world, Alchemy Spinning™ makes the physical, psychological and spiritual benefits of whirling accessible to everybody. This Whirl your breath! Alchemy Spinning™ workshop will explore how to find our own organic movement through our breath. Our practice will be focused on how to release tensions in our bodies and awaken our own vital energy so that it can flow along our spine. Alchemy Spinning™ relies on a combination of dance, movement, breathwork, and contemplative art making techniques, as well as teachings and inner technologies adapted from the Sufi dervishes and Shambhala Buddhism. We will learn basic whirling techniques culminating in an open space for group whirling. After whirling, we will use contemplative art-making as a group in order to integrate the experience and insights. Open to any person of any age and fitness level. No previous dance experience is necessary. Cost: $38 Early Bird until February 14th, $45 after February 14th. Raquel is an international dancer, dance activist, yogi, and transpersonal somatic therapist, originally from Barcelona, Spain, she lives in the San Francisco Bay Area.